A CIVIL RIGHTS LEGACY: "NESHOBA: THE PRICE OF FREEDOM"
In late June of 1964, three civil rights workers in Mississippi went missing, kidnapped by Klu Klux Klansmen. One man was black, the other two white. Their names were James Chaney, Andrew Goodman, and Michael Schwerner. They had been in Mississippi as part of Freedom Summer, a voter registration project started by the Student Nonviolent Coordinating Committee, and Congress of Racial Equity to help register black voters in Mississippi. Shortly after this, Attorney General Robert F. Kennedy sent the FBI and Federal Marshalls to Mississippi to investigate their disappearance. Their bodies were found in early August, 44 days after they had disappeared, buried 25 feet beneath an earthen dam. All had been brutally murdered. 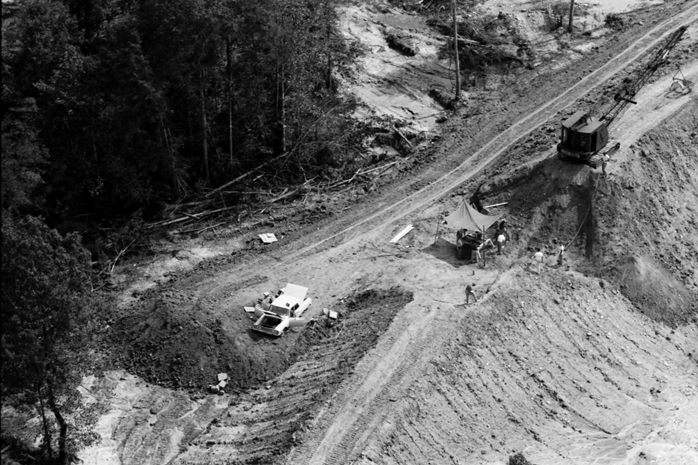 A local informant had been spurred on by a reward of $30,000, and gave the exact location of the bodies to the FBI. National indignation over the murders helped President Johnson to pass the 1964 Civil Rights Act. The Voting Rights Act followed a year later, and ended legally mandated segregation in Mississippi and throughout the South. LIFE magazine sent Bill Eppridge to Neshoba County, Mississippi immediately after the news broke. There are no pictures of the crime - just the brutal aftermath, and the devastating grief and sorrow brought upon one family. Because Mississippi officials refused to prosecute the killers for murder, a state crime, the US Justice Department Department charged eighteen individuals under the 1870 US Force Act with conspiring to deprive the three of their civil rights (by murder). Only seven were convicted, and none served more than six years. Remarkably, on June 21, 2005 -- 41 years to the day after the killings --a jury convicted Edgar Ray Killen, described as the man who planned and then directed the killing of the civil rights workers, on three counts of manslaughter. "In 1964, 17-year-old Micki Dickoff asked her father if she could travel from their South Florida home to Mississippi to help register black voters. He said it was too dangerous. His fear was justified. That summer, three young civil- rights workers -- white New Yorkers Andrew Goodman and Michael Schwerner and black Mississippian James Chaney -- were murdered by Ku Klux Klansmen near Philadelphia, Mississippi. Although the killers bragged about the murders, state officials refused to prosecute anyone for the crime. Seven men were later convicted on federal charges of violating the victims’ civil rights, but one of the ringleaders, preacher Edgar Ray Killen, avoided prison when a single juror held out against his conviction. 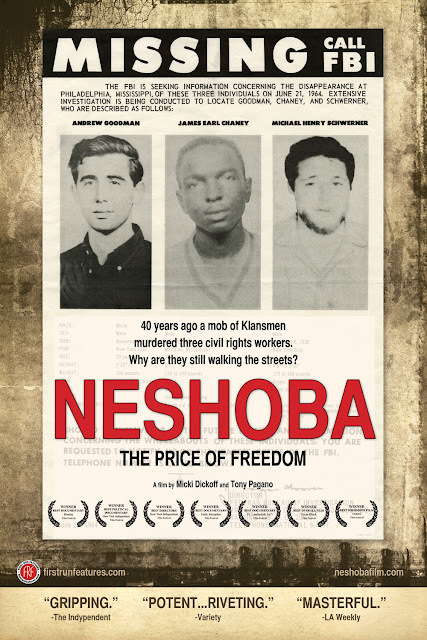 The film features new interviews with members of the victims’ families -- including the mothers of Goodman and Chaney and Schwerner’s widow -- and longtime Neshoba residents divided over how to deal with the darkest chapter of their county’s history. Yet Killen, now 85, grabs the spotlight with his unrepentant racist views, his unconvincing denial of any involvement in the murders and his “they had it coming” attitude toward the slain young men. Killen agreed to talk to the filmmakers even though the state, after four decades of inaction, had finally charged him with the murders that inspired the dramatic movie “Mississippi Burning.” He continued to spout his nonsense on camera until he was convicted of three manslaughter counts on June 21, 2005 -- 41 years to the day after the killings -- and sentenced to 60 years in prison. But the film, which includes archival news footage, family photos and a soundtrack of 1960s protest songs, does offer hope. 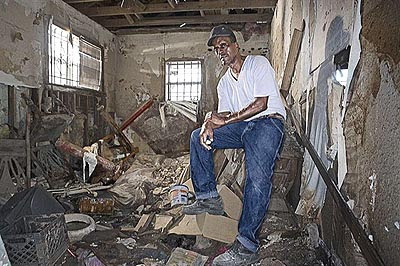 Killen will surely die behind bars, the victims’ families have received a small measure of justice and, partly due to the bravery of people like Goodman, Schwerner and Chaney, a black man now calls the White House home. Related: Bill Eppridge Documentary Trailer To Screen. Maureen Muldaur's documentary proposal for "The Eye of The Storm" has been accepted into Westdoc, the the “go-to” conference for Documentary and Reality Filmmakers." The conference takes place in Santa Monica, California, September 13 - 15. 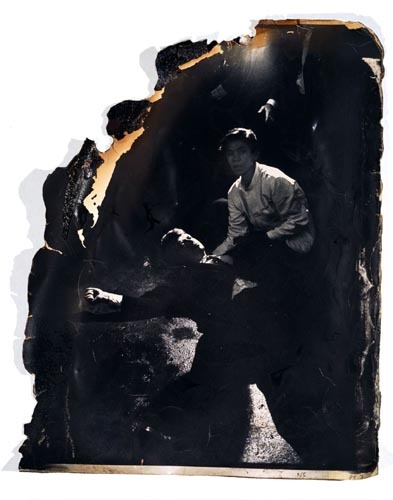 The Eye of the Storm tells the story of the assassination of Bobby Kennedy through the eyes of five photojournalists, four of whom were in the room when he was shot. 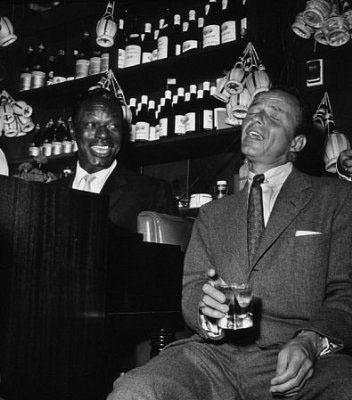 The other was still in the Embassy Ballroom of the Ambassador Hotel in Los Angeles where Bobby had just finished giving his victory speech for his win in the California Primary for President, a win that would probably take him to the White House. Only these five photojournalists will tell the story of that night; we will experience an inherently dramatic event as it unfolds moment by moment. These five men will not only tell their personal stories as human beings but they will speak directly of that experience through being a photojournalist. Bobby was a man they had come to love and once he was shot, they had to bury their grief to perform the task at hand and chronicle a national tragedy. They had originally gone to the hotel to document a celebration but they had to use their skills instead to document one of the worst tragedies in American history. The documentary will end when Bobby’s death was announced at 1:44am the next day at Good Samaritan Hospital. 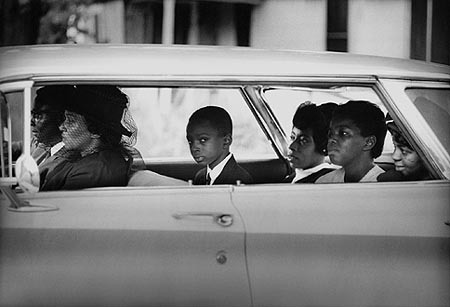 Many of their photographs live on as icons of American History. 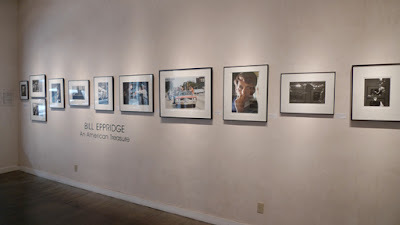 Muldaur Media filmed Bill Eppridge at the opening of his exhibition "Bill Eppridge: An American Treasure" at Monroe Gallery of Photography, as well as in a lengthy interview over the July Fourth weekend. The exhibition continues through September 26. In grade school, I was obsessed with Ellis Island, which I attribute to a fascination with my grandmother's Irish accent. In my mind, it was a bustling, brimming, turn of the century checkpoint for immigrants in search of brighter prospects. In Stephen Wilkes' mind, on the other hand, Ellis Island means decay. 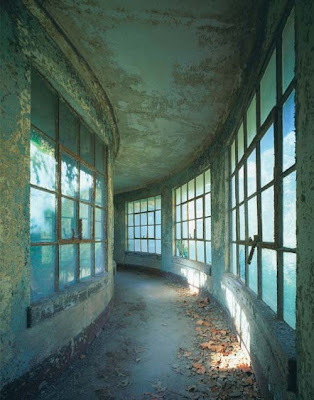 He discovered the island's abandoned hospitals while on a photo assignment in the 1990s, and it quickly devolved into obsession (of course, I can sympathize). For five years he had free reign of the island's ghostly buildings. Wilkes' photo project, Ellis Island: Ghosts Of Freedom, shows the somber side of immigration — the side you don't see while on island tours. For many, the dream of a better life terminated in Ellis Island hospitals, where they were detained at any sign of disease. In one of Wilkes' images, the Statue of Liberty is reflected in a mirror. "I suddenly imagined a petite Eastern European woman rising out of her bed every morning," he writes in the caption. "Seeing the reflection would be the closest she'd ever come to freedom." The hospitals were closed in 1954 and basically left untouched, except by the elements of nature, and unseen, until Wilkes came along. Empty rooms, peeling paint, a lonely shoe left on a table — this deterioration is what Wilkes finds beautiful. His meditative studies of light and composition guide the viewer through Ellis Island's dark side, oddly illuminated by an afternoon glow. His book was featured on Weekend Edition Saturday in 2006; and now, his photographs are part of a new exhibition at the James A. Michener Art Museum outside of Philadelphia. (Related review here) Brian Peterson, the exhibition curator, has made an interesting contrast by pairing Wilkes' color prints with the early documentary photographs of Lewis Hine. I've never actually visited Ellis Island, but after seeing Wilkes photographs, I just might have to revisit and old obsession. Original post here with slide show of photographs. We are very saddened to learn of the death of Bernie Abramson. Born in Los Angeles, California, he started his photography in junior high school. He joined the United States Navy in 1942 as an aerial cameraman and was the first photographer to photograph the Japanese fleet at the island of Palau. His aerial photos resulted in the sinking of in excess of 50 ships and the destruction of 150 of their aircraft for which he received numerous decorations. His plane was shot down in 1945 and he spent 2 1/2 days in the water before being rescued by the USS Bowers. 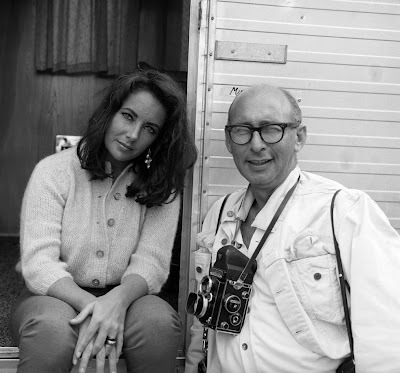 After being released from a Naval hospital and at the end of the war, Abramson resumed his photographic activities as a photographer in the motion picture industry. Among the productions to his credit as a photographer are to name a few The Alamo, West Side Story, Dirty Harry, The War Wagon, Cleopatra, Oceans Eleven, Sergeants Three, Donovan's Reef, The Wild Bunch, and Some Like It Hot. It was on the production of "Oceans 11" that Bernie became the favorite of the "Rat Pack" and was always invited (with cameras) to the private functions. In 1977 Bernie gave up still photography and became a Director of Photography and his first credit as a Director of Photography was Up the Sandbox (1972) with Barbra Streisand. We are pleased to share some shots of him back in the day palling it around with his subjects. 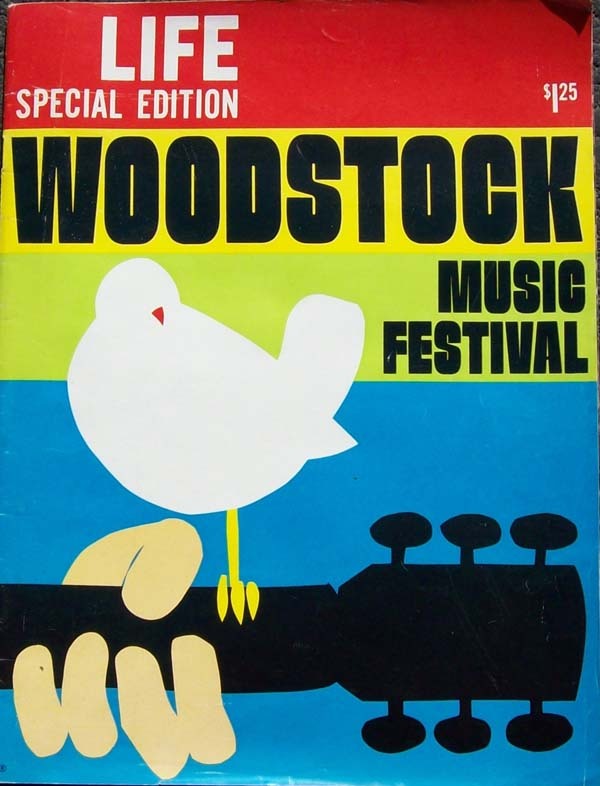 A gallery of photographs by Bill Eppridge and John Dominis, “Woodstock: Life’s Best Photos,” was published this time last year by Life.com. Bill Eppridge, who photographed the Woodstock Music and Art Fair 41 years ago, remembers it as a beautiful coda to a painful decade. "For me, it was a visual feast, a never-ending succession of moments that is impossible to forget,” he says. In the accompanying audio slide show, Mr. Eppridge speaks about being accepted at Woodstock even though he represented an established and powerful institution — as Life was in its day. “They knew who I was but they didn’t care,” he recalls. Eppridge, in fact, came so much to look the part that he was picked up by the narcos in a hotel lobby; they thought he had stolen both his cameras and Life credentials and were about to haul him off when Mills (who looks more like a cop) came up to straighten things out. Bill Eppridge: "An American Treasure" is on exhibit at Monroe Gallery of Photography through September 27. See a related review from the Albuquerque Journal here. 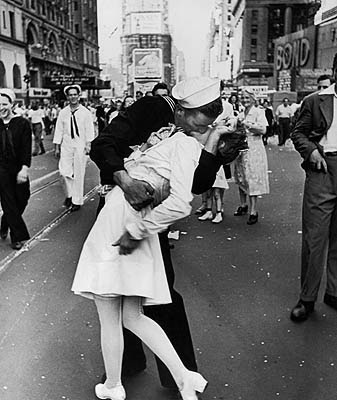 The V-J Day picture of the white-clad nurse by photographer Alfred Eisenstaedt captured an epic moment in U.S. history and became an iconic image marking the end of the war after being published in Life magazine. 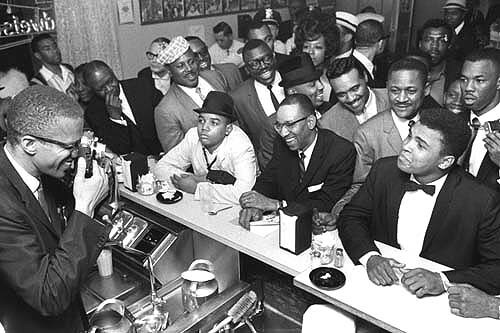 Monroe Gallery of Photography is very pleased to announce that the Library of Congress Prints and Photographs Division has acquired Bob Gomel's classic photograph of “Black Muslim Leader Malcolm X Photographing Cassius Clay Surrounded by Fans After He Beat Sonny Liston for the Heavy Weight Championship, Miami, February, 1964". 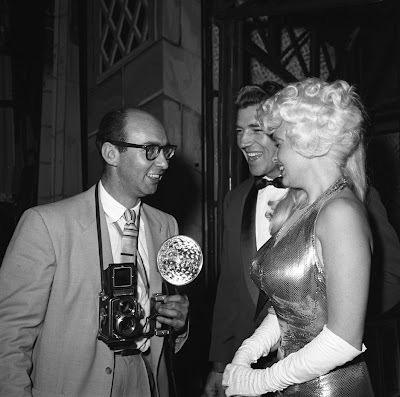 Bob Gomel worked extensively during the Kennedy administration as a photojournalist for LIFE magazine. He was frequently assigned to photograph political events, although he perhaps most remembered for his photograph of then 8 - year old John F. Kennedy Jr. standing solemnly at the funeral of his uncle, Robert Kennedy, in front of St. Patrick’s Cathedral in New York. This photograph appeared in a two-page spread in the June 1968 “Special Kennedy Issue” of LIFE magazine. 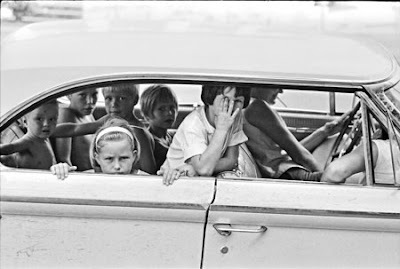 For more, read an interview with Bob Gomel here: "Photographer's Life in Pictures, and Vice Versa". Joe McNally just finished his "Traveling Light: Location Lighting with Small Flash" workshop at the Santa Fe Workshops, which offers "state-of-the-art photographic education that supports participants of all levels". The roster of instructors at the Workshops reads like a "who's who" of photography, including Sam Abell, Rick Allred, Keith Carter, Jay Maisel, Jock Sturges, Joyce Tenneson, and Stephen Wilkes. Joe McNally is an internationally acclaimed American photographer and long-time photojournalist. From 1994 until 1998, he was LIFE magazine's staff photographer, the first one in 23 years. He has completed assignments in over 50 counties for prestigious publications, including Sports Illustrated, ESPN Magazine, Life, Time, Fortune, National Geographic, New York Magazine, The New York Times Sunday Magazine, GEO, Golf Digest, Discover, and Men’s Journal. His most well known series is the "Faces of Ground Zero" Giant Polaroid Collection, a collection of 246 giant Polaroid portraits shot in the Moby c Studio near Ground Zero in a three-week period shortly after 9/11. A large group of these historic, compelling life-size (9x4) photos were exhibited in seven cities in 2002, seen by almost a million people. The sale of 55,000 copies of the exhibit book, printed by LIFE, raised over $2 million for the 9/11 relief effort. This collection is considered by many museum and art professionals to be the most significant artistic endeavor to evolve to date from the 9/11 tragedy. McNally is known worldwide for his ability to produce technically and logistically complex assignments with expert use of color and light. He conducts numerous workshops around the world as part of his teaching activities, and is the recipient of numerous awards, including the prestigious Alfred Eisenstadt Award for outstanding magazine photography, as well as Pictures of the Year International, and World Press Photo Foundation Award (awarded first place in Portraits in 1997). Recently, Joe has completed major stories for National geographic, including "The Future of Flying" and "The Electrical Grid". It is always a special treat for us to spend time with Joe. 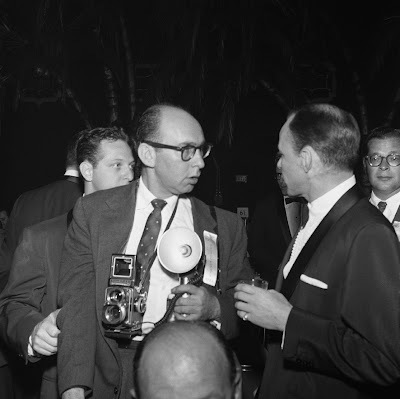 During his time with LIFE magazine, he became very close with the giants of "The Golden Age" of photojournalism, such as Alfred Eisenstaedt, Carl Mydans, and John Loengard - some of our heroes. He is certainly one of the hardest-working photographers in the business (follow his blog or Twitter, at any given moment he might be in New York, Santa Fe, Asia, The Pacific Northwest, at the Albuquerque airport at 4 AM, or just about anywhere.) 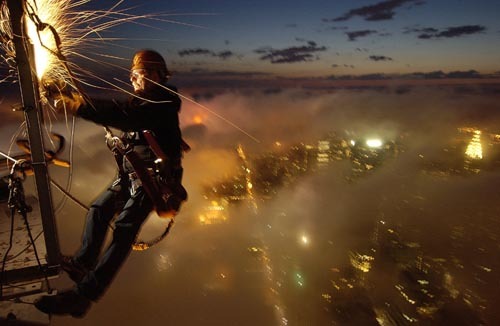 Last we knew, Joe was on his way to dangle from a helicopter while hoovering over giant electric transmission towers. Joe is the author of the best-selling boks, "Flying West to Go East: New York City Opera on Tour in Japan", "The Moment It Clicks"; and "The Hotshoe Diaries". In October, Time books will pubish Joe's newest book, "Life Guide to Digital Photography: Everything You Need to Shoot Like the Pros". Joe will be in Santa Fe in early December for a special book signing and exhibit, watch this blog for details! Meantime, Happy Birthday to Joe! Ellis Island figures in so many American family histories that any artist who addresses the last century's great wave of European immigration plugs into a ready-made constituency. So it is with the 28 striking color images, now on display at Doylestown's Michener Art Museum, that New York photographer Stephen Wilkes made at the immigrant gateway between 1998 and 2003. Wilkes worked not in the vast arrivals hall where the intrepid newcomers were processed but in the sprawling 29-building hospital complex. Here passengers who were either ill or pregnant were cared for until they healed, gave birth, or, in a tiny fraction of cases, died or were denied entry into the country and sent home. Wilkes says he was struck so powerfully by the spirit of the place that he became obsessed, returning many times over five years to enrich his portfolio. Rather than being depressed by the physical decay, he was inspired by a residual spirit of humanity: "Mainly, I saw life." 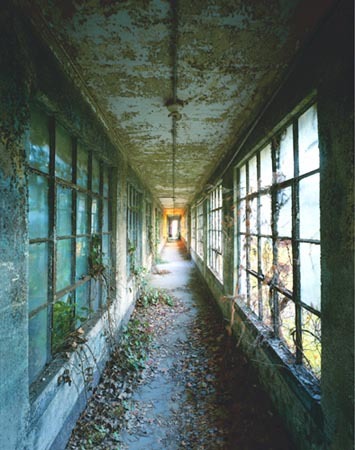 The scenes he captured are of a type that will be familiar to anyone who has visited Philadelphia's Eastern State Penitentiary - empty rooms, peeling paint, drifts of dead leaves, vines insinuating themselves everywhere. Occasional resonant artifacts such as shoes and an abandoned suitcase humanize these melancholy interiors; the most poignant image, though, is a reflection of the Statue of Liberty in a mirror. Yet objects and symbols energize Wilkes' pictures less than the mellow, honey-colored light that floods many views. He photographed only with available light, which intensifies the romantic aura of the hospital complex that so enchanted him. These lush, large-format prints function as canvases onto which viewers can project meditations about what their own forebears might have experienced. Did they walk these deserted corridors, did they know firsthand the tuberculosis, measles, or isolation wards, could they see the Statue of Liberty from their window, were they consumed by anxiety about whether they would escape the hospital into America proper? 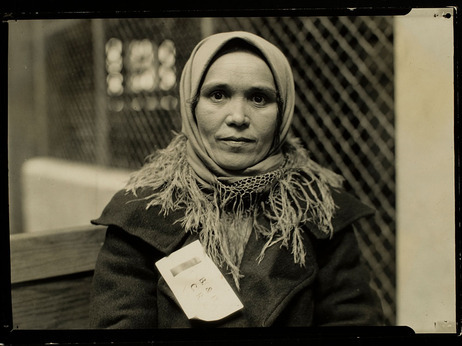 By contrast, Lewis Hine's black-and-white photographs made during Ellis Island's heyday, from 1905 to the mid-1920s, show a more benign, even hopeful immigrant situation. The Michener has placed 15 of these documentary photos at the core of the exhibition, separate from Wilkes' pictures, which wrap around them in counterpoint. A prominent social activist remembered for photographing blue-collar workers and egregiously exploited child laborers, Hine introduces us to immigrants such as an "Italian Madonna" whose child gazes at her beatifically. The "Madonna" and a portrait of a soulful Armenian Jew typify Hine's tendency to gild reality with a softening glaze of sentimentality. 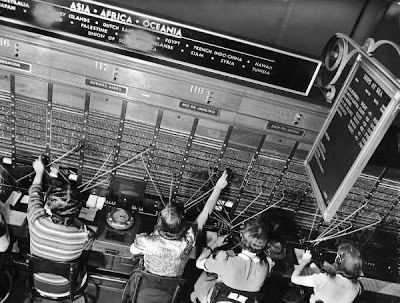 Instead of the tumult and bureaucratic bustle of Ellis Island, Hine shows us individuals apparently chosen as exotic, representative types. "Ellis Island: Ghosts of Freedom" is a curatorial construct that juxtaposes "then" against "now." Yet the pairing works because each photographer has created a historical document about the renewal of lives and the importance of remembrance. The exhibition continues through October 10. See the full Ellis Island collection here. Monroe Gallery of Photography will host Stephen Wilkes in October for a special presentation, exhibition, and book signing of Ellis Island: Ghosts of Freedom. Watch this blog for more details. THE Magazine: "Eppridge's work was as epic at the times themselves"
More than 50 images in color and black and white by eminent photojournalist Bill Eppridge are guaranteed to awaken memories of the sixties: family members attending the funeral of a civil rights victim, the Beatles arriving stateside, marines in Vietnam. By far, however, Eppridge's name is associated with the picture of Bobbie Kennedy campaigning for the presidency. His photographs of RFK's life bleeding out while a busboy tries to comfort him in June, 1968. is. like so many images from the late sixties, sadly iconic. Eppridge's first professional assignment was a nine-month, worldwide shoot for National Geographic. That story ran thirty-two pages. The magazine wanted to put him on staff, but on advice from the soon-to-become Geographic editor, Eppridge went to New York City to renew some friendships he had made at LIFE. Eppridge's work in LIFE, beginning in 1962, was as epic at the times themselves. Dyanna Taylor grew up thinking all grandmothers took photographs. The Santa Fe filmmaker is the grandchild of Dorothea Lange, the great Depression-era photographer famous for her poignant and compelling images of migrant workers, sharecroppers and residents of Japanese internment camps. Taylor, now working on a documentary about her famous grandmother, will talk about Lange's work and her memories at 5 p.m. Friday at the National Park Service Building, 1100 Old Santa Fe Trail. The fiercely independent Lange was born in Hoboken, N.J., her life forged by two traumatic events: the abandonment by her father when she was 12 years old, and her contraction of polio when she was 7, which left her with a limp. Instead of moving into the teaching career her mother envisioned for her, she went to work for a famous portrait photographer in Manhattan named Arnold Genthe. She absorbed his artistry, the pain of her childhood feeding her sense of what suffering meant. 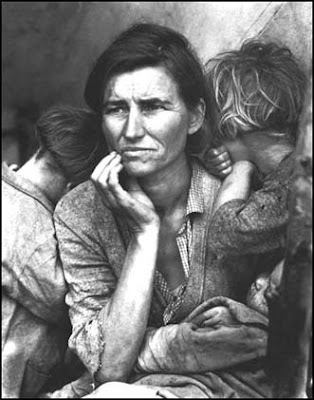 When the U.S. government hired her to document the Depression, she produced masterworks such as the famous "Migrant Mother," shot in 1936, and now hanging in the Library of Congress collection. "She was a challenge, and she was a charismatic woman," Taylor said. "She was quite brilliant." Taylor's film is slated for the PBS "American Masters" series. She's still working on the documentary and hopes to see it air in 2012. It will include previously unseen footage of the photographer, as well as interviews with her still-living assistants. 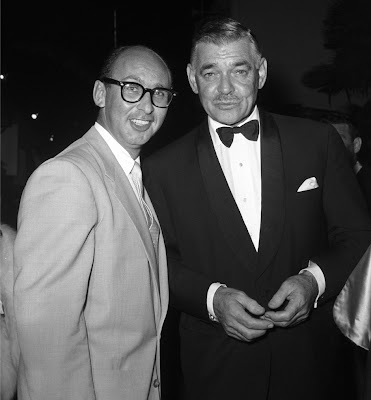 Lange died of esophageal cancer in 1965 at age 70. "She was magical," Taylor said. "Everything about her was exotic. She dressed in an interesting and unique way. She wore capes; she wore berets, always heavy silver jewelry. This was not what people were wearing in the early '50s." Lange lived in Taos for about a year with her first husband, the painter Maynard Dixon. Then a young mother, she spoke of watching the photographer Paul Strand drive by the small adobe house lent to her by Mabel Dodge Luhan. It was her second husband (Taylor's grandfather) Paul Taylor, a labor economist, who got her work documenting the Dust Bowl and Depression refugees. Lange was the antithesis of the doting grandmother who was eager to praise the slightest accomplishment, Taylor said. "You couldn't be a lightweight around her," she explained. "You really had to put your thinking cap on. I learned from her as a photographer. She taught me to look twice at what was in front of me." Taylor remembers proudly bringing Lange a handful of stones, anticipating praise. Instead of thanking her, Lange asked her if she really saw them. "I was feeling slightly hurt and rejected," she said. But the incident taught Taylor to look beyond the surface, a skill that fueled her own photographic career. The family often spent holidays, birthdays and weekends at Lange's cabin north of San Francisco. "We would hike," Taylor said. "We'd spend time at the beach. We would look for stones. She would insist that we study geometry. She would tutor us in things that weren't necessarily taught in school. She was intimidating and charismatic, and you always wanted to be close to her, even though it was a little scary." Toward the end of her life, Lange was working on a series about home, "the place where you live." She and her second husband, Paul Taylor, took two international trips, where she photographed Indonesia, Asia, Egypt and Iran. Taylor inherited her grandmother's cameras when she died. She soon realized she preferred moving images to still photography. "Also, it was easier than trying to replicate hers, which were so amazing," she added. If she were alive today, Lange would be horrified by the current economic collapse and on the front lines documenting it, Taylor said. "She and my grandfather would just be appalled," she continued. "My grandfather would be rolling over in his grave. He fought his whole career to keep the family farm alive. Dorothea would be right in there with everything happening during the recession — people losing their homes." Taylor tried following in her grandmother's lens by filming newly homeless people camping beneath bridges and highway ramps near Sacramento last year. "I went out there," she said. "It was difficult to film. People are angry. People trusted her. They don't trust people with cameras anymore." Related: Monroe Gallery of Photography will present the comprehensive exhibition "Carl Mydans: The Early Years" October 1 - November 25. Mydans was a contemporary of Dorothea Lange and was also employed by the Farm Security Administration, prior to joining LIFE magazine in 1936. A quick notice to let you know about other social media from Monroe Gallery of Photography. In addition to this blog, you can stay connected to Monroe Gallery of Photography on our Facebook page and Twitter account. Both have exclusive content on current photography events and news, gallery events and exhibits, as well as related photojournalism topics. Correspondent Jonathan Blaustein is back with a report from the summer gallery shows in Santa Fe. Since the last article I wrote for APE, I’ve spent the summer doing the usual things. Making new photographs for “The Value of a Dollar,” weeding in the yard, and running after my young son. Average summer duties. Beyond that, I released a limited edition print to benefit the UN World Food Programme through the collect.give, had the opportunity to hear public lectures by Jonathan Torgovnik, Mary Virginia Swanson, Christopher James, Cig Harvey through the Santa Fe Workshops. But unlike New York, which quiets down in Summer, in Northern New Mexico it’s high Season. That means busloads of tourists. And tourists like art. So many of the big blockbuster photo exhibitions take place now, rather than in the Fall or Spring. The book designer and blogger Elizabeth Avedon did a blog post previewing the Santa Fe summer scene a couple of months ago, so I thought I’d go see what was on the wall, and report back to the APE audience. I began my little adventure at photo-eye, which is undoubtedly the photography institution in Santa Fe. The owner, Rixon Reed and his crew recently celebrated their 30th Anniversary. They offer a lot to the community, including a great photo-book store, a sleek photo gallery, and a program of public events and artist salons. The current exhibit in the gallery is a three-person show featuring work by Edward Ranney, Mitch Dobrowner, and Chris McCaw. All three work in black and white, and have differing perspectives on the landscape. Edward Ranney, a long time NM resident, just published a book with Lucy Lippard that investigates the nearby Galisteo Basin. It was home to pre- and post-Columbian Native American culture for centuries. Ranney’s stark photos are printed without heavy or dramatic contrast, and create the impression of timelessness. 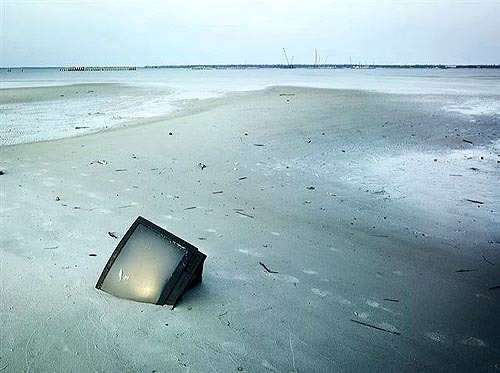 Some images depict remnants of earlier cultures, and some do not. Together, they give the impression that the land, with its volcanoes and rocky cliffs, works with a timeframe that mocks the ephemeral. Mitch Dobrowner’s large-scale landscape prints, by comparison, are dramatic and literal. They’re very beautiful, to be sure, but lack imagination. One exception, a triptych of clouds moving across Shiprock, in the Navajo Nation, is tremendous. Particularly if one has traveled through the Four Corners, as the natural beauty juxtaposes against a hard-core culture of poverty and isolation. 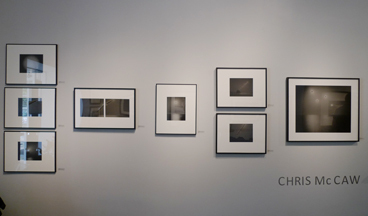 Chris McCaw’s photographs have been exhibited widely of late in NYC, LA, and SF. His work is original and visually engaging, and was recently collected by the Metropolitan Museum of Art. McCaw uses a large format camera, and allows the sun to burn its way through photographic paper that takes the place of film, utilizing long exposures. So the paper will show the literal mark of the sun, which shares the rectangle with land & oceanscapes. The balance of creation and destruction is timely and visceral. Killer stuff. Andrew Smith, at his eponymous gallery, has the other major old-school place in town. The gallery had an installation on the wall by William Christenberry that I was excited to see. There were 20 small prints, in frames, leaning against the wall in two horizontal rows, (one above the other,) sitting on a wooden rail. Like much of his work, the images were made of the same subject, re-photographed over time. In this case, it was an old sharecropper’s house in Alabama, shot between 1978 and 2005. In early images, an old blue car is parked in front of the house, and in some an African-American family is standing on the front porch. As the sequence resolves itself, the car and family disappear, and the house slowly degrades to ruin. It’s a powerful depiction of the cold efficiency of time, and a strong metaphor for the problems facing rural society in the United States. Smith’s gallery also has a ridiculous display of historical work, hung salon-style, in several rooms on two floors. I’ve never been anywhere like it, outside of a major museum. Ansel Adams, Carleton Watkins, Muybridge, William Henry Jackson, Steichen, Friedlander, Eliot Erwitt, and many other legends of photography are well represented. It’s so full, in fact, that I spotted a vintage print by Walker Evans of the Alabama tenant farmer’s wife, the image that Sherri Levine appropriated years later. It was a foot and a half off the floor, down in a corner by a door-frame. That tells you a bit about how much of photography’s history is crammed into this space. Not to be missed. Verve Gallery, on Marcy St, has a huge following in Santa Fe. I’ve seen several shows there, and they tend to have three person exhibitions, from what I can tell. The work leans towards photo-journalism and documentary photography, with some exceptions. They are currently showing two documentarians, Jeffrey Becom and Nevada Wier, alongside digital conjurer Maggie Taylor. The former offerings were not super-interesting to me, but Taylor’s work is fantastic, and worth a visit. She creates surreal images that layer taken and found photographs, arriving at an original vision with a unique color palette. Taylor has been working this way for a while, and ten years ago, before Photoshop’s ubiquity, there would have been a “how did she do that” quality that is no longer to be mined. But the photographs are compelling, creating a stream of characters out of a Greek Mythology, with rams heads and rhinos and fish men. 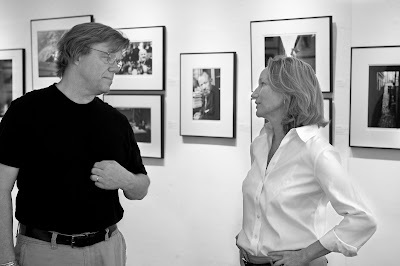 Monroe Gallery is another of Santa Fe’s photo spots that has a national reputation, as they show historical photojournalism from the early to mid-20th Century. 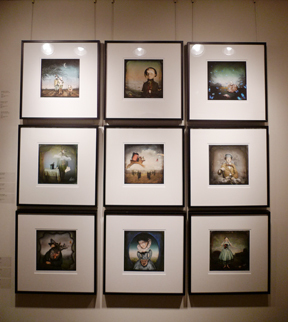 It’s a different period and style than you see at Andrew Smith, but equally relevant to American photography lovers. 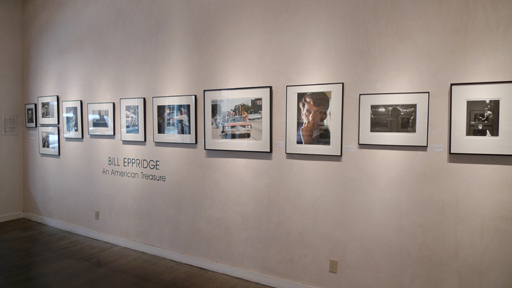 This Summer, they’ve got an exhibition in the front room by Bill Eppridge. One wall focused on photos of Robert Kennedy during his campaign for the Democratic Nomination in 1968. Very Iconographic. One image showed Kennedy riding in an open convertible with NFL greats the “Fearsome Foursome.” It stopped me, due to the reference to his brother’s assassination, of course, but also because it seemed like such an anachronism. Can anyone imagine a scene like that transpiring in 2010? The back room of the gallery had several walls of classic photographs of famous people, hung salon-style. It’s a strange, fascinating mash-up of Marilyn Monroe, Winston Churchill, JFK, MLK, Ganhdi, Jackson Pollock, Pablo Picasso, Stravinsky, Frank Sinatra, Albert Einstein and more, photographed by the likes of Robert Capa, Alfred Eisenstaedt, Margaret Bourke-White, and Arnold Newman. History; commodified. Eight Modern is a relative newcomer, compared to the SF institutions mentioned above. It’s a contemporary art gallery in an old adobe building, just off of Canyon Road. While they often show painting and sculpture in a beautiful setting, the June/July show was by the Chicago conceptual artist Jason Salavon. He uses the computer to make original work from historical masterpieces, and shows digital projections, video installation, abstract prints, and digital C-prints, which I’d classify as photographs. Finally, I saw one show down I-25 in Albuquerque at the Richard Levy Gallery. I’m including it because why not, as Levy shows contemporary international work in a great downtown space. (And I happened to be in ABQ briefly one day.) His current exhibition is by Manjari Sharma, the Mumbai and New York based photographer whose “Shower Series” has gotten lots of exposure on the web. (Burn Magazine, Lensscratch, Fraction Magazine’s blog & more.) While I’ve seen the jpegs many times, it was good to experience the large prints on the wall. She’s photographed a mix of attractive, multi-racial people who agree to take a shower in her apartment. None of the photos depict the subjects looking at the camera. They’re caught in what appear to be private, contemplative moments. So while the work is visually engaging, I was interested in the way it called attention to the artificial nature and forced intimacy of photographer/sitter relationship. Well, that was a lot of information, I know. If you’ve made it this far into the article, you’re obviously interested in photography, or Santa Fe, or both. That, or it’s quiet today and you have some time to kill. Regardless, I’d encourage a trip out to New Mexico if you’ve not been before. 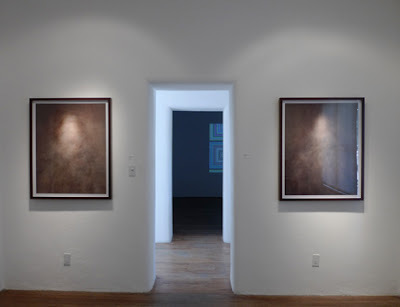 All the above galleries show high quality work on a regular basis, and you can add Site Santa Fe, the NM Museum of Art, James Kelly Contemporary, Zane Bennett Contemporary Art, and the NM History Museum to the list. And in case you were wondering, I’m not a covert member of the Chamber of Commerce. I assure you.